2012 has certainly been an eventful year, with everything from elections, to olympics, to scientific breakthroughs, to major weather events. To help review some of the things that happened, here are 20 of the best static infographics from the year. 1. There were several space related events this year. NASA’s Curiosity rover landed on mars, and successfully began collecting data. 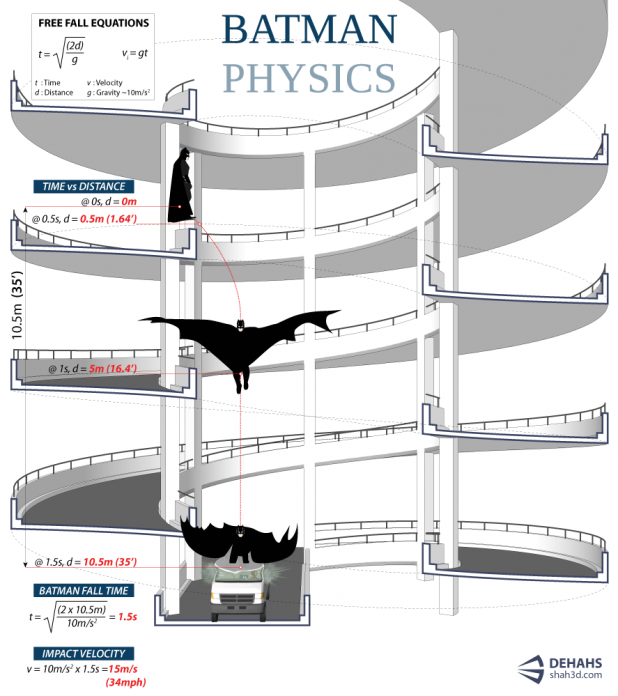 As this graphic by billowyclouds shows, the scariest part was a terrifying 7 minute landing. by billowyclouds. Learn about data visualization software. 2. The FAST telescope in China also reached some major milestones in its construction. Memuco highlights the details in A Big Eye on the Sky. by memuco. Browse more infographics. 3. That’s a huge device to look at huge things. 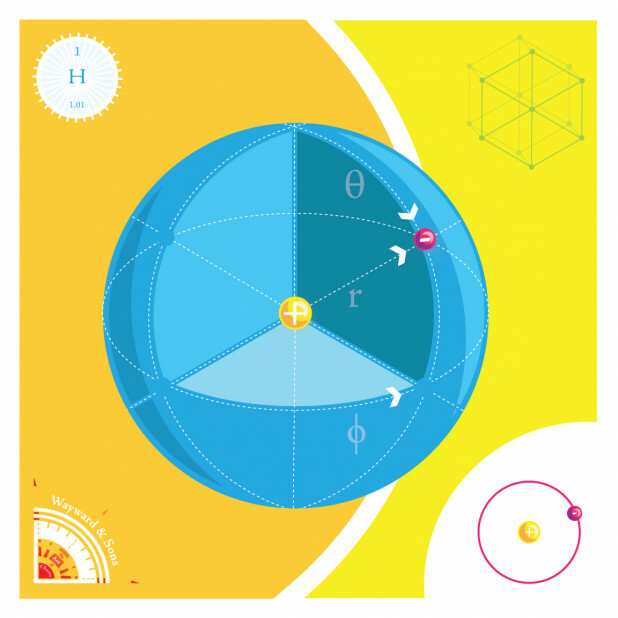 On the opposite end of science is Hydrogen by WaywardAndSons. Their graphic looks at the only atom that provides an analytical solution to the Schrödinger Equation. by WaywardAndSons.Learn about data visualization tools. 4. All of this science ultimately helps us understand our own world, and that can lead to better predictions of things like hurricanes. 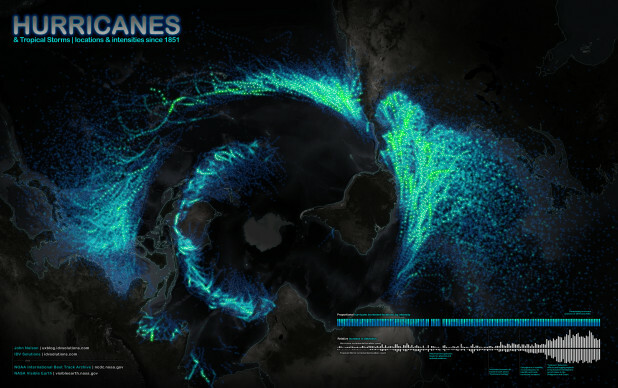 Johnmnelson takes a look at all Hurricanes Since 1851 on this stunning map. by johnmnelson.Learn about business intelligence tools. 5. Luckily, there was relatively good weather for the Summer Olympics. 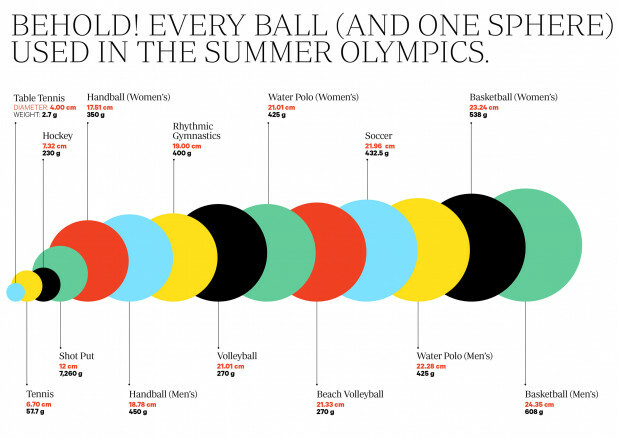 Here’s a look at every ball used in the games. 6. And johnmnelson gives us a good look at the history of medal wins by the countries that have participated in the olympics. 7. As Dehahas shows us, there were also impressive athletic feats performed by Batman, in the release of The Dark Knight Rises. by Dehahs. Browse more infographics. 8. And while we’re on impressive athletic accomplishments, the Cheetah is always impressive. This graphic by jerkyjake is an animated gif! by jerkyjake. Learn about data visualization tools. 9. Athletic accomplishments aren’t the only thing that happened this year. 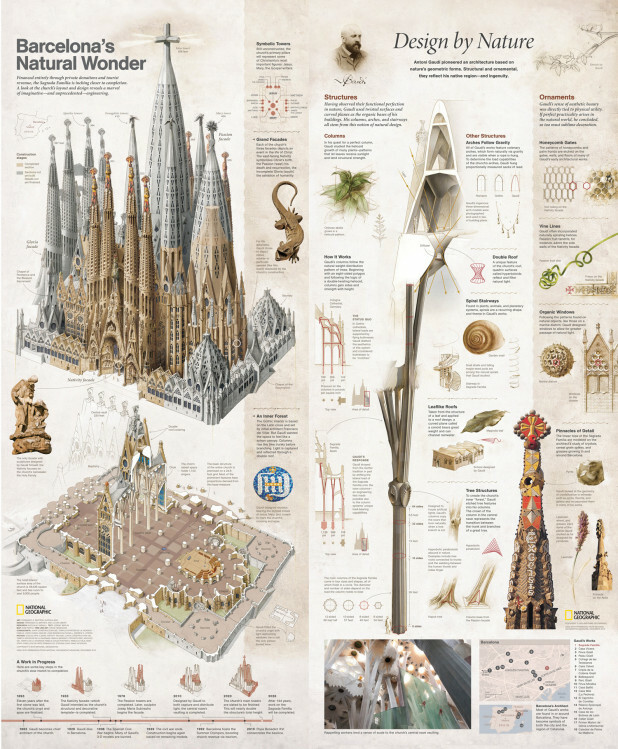 The Sagrada Familia announced some major funding milestones, and a high speed rail tunnel was successfully dug underneath the cathedral. by NatGeo.Browse more data visualization. 10. There is other old artwork worth looking at as well. 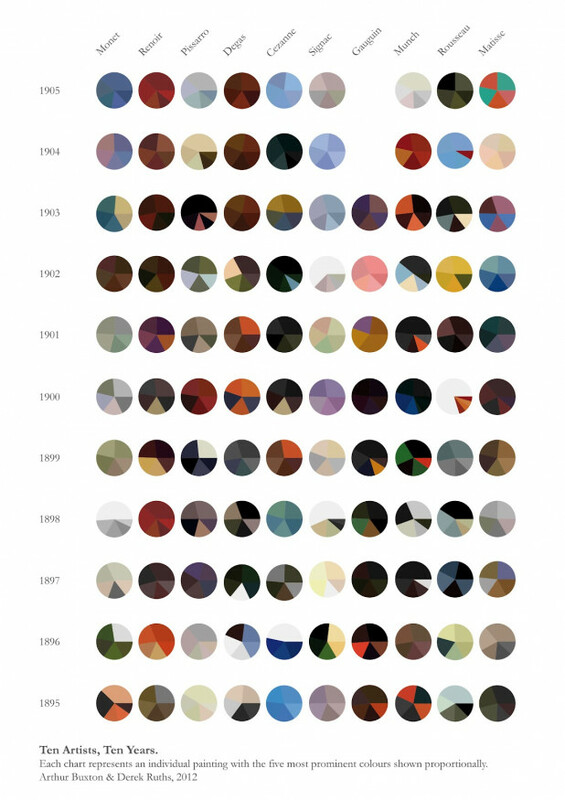 Here are the color palettes for 10 Artists over 10 Years. 11. On the opposite end of the spectrum, from very old to very new, the iPhone 5 was released. Statista commissioned this graphic by bumblecoon that looks at How iPhone Announcements Affect Apple Stock. by Statista.Browse more data visualization. 12. That iPhone didn’t come without a whole slew of disgusting Patent Wars though. Learn about data visualization software. 13. Speaking of silly lawsuits, dencemond created this graphic of Metallica’s performances. by dencemond. 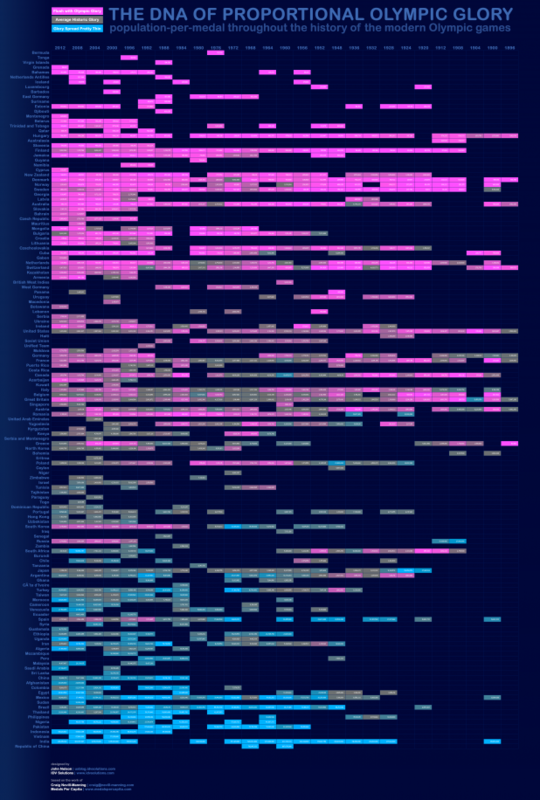 Check out our data visualization blog. 14. Unfortunately, conflict isn’t always as civilized as what happens in courtrooms. Luckily, the Arab Spring has been continuing and helping to educate and empower people against conflict, with 1,311,882 Active Twitter Users in Arab Countries in March. 15. Would there be less conflict If the World were 100 People? KVSStudio takes a look at the hypothetical situation, and help show what the world would be like. by KVSStudio. Browse more infographics. 16. The world isn’t just 100 people though, and there’s a huge melting pot of people out there. 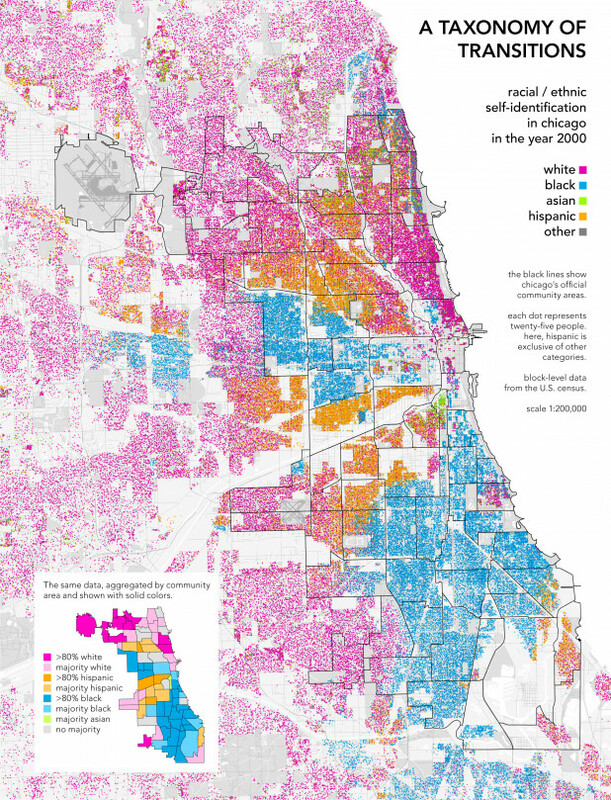 A Taxonomy of Transitions takes a look at that melting pot in Chicago. 17. A variety of cultures produces interesting places, but sometimes brands become so prolific that they contribute to a monoculture. 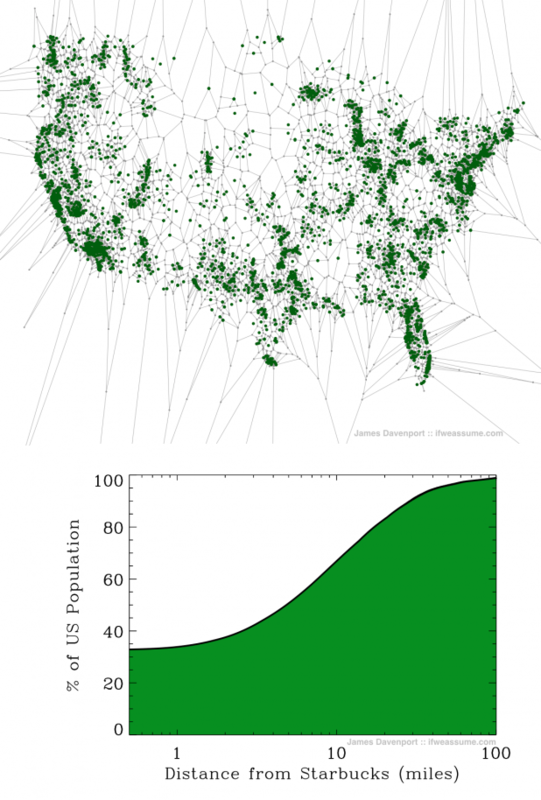 Starbucks is certainly one of those brands, as The United States of Starbucks by jradavenport points out. by jradavenport. Learn about infographic design. 18. Monoculture aside, if you’ve got coffee, a great thing to go with that is a book. 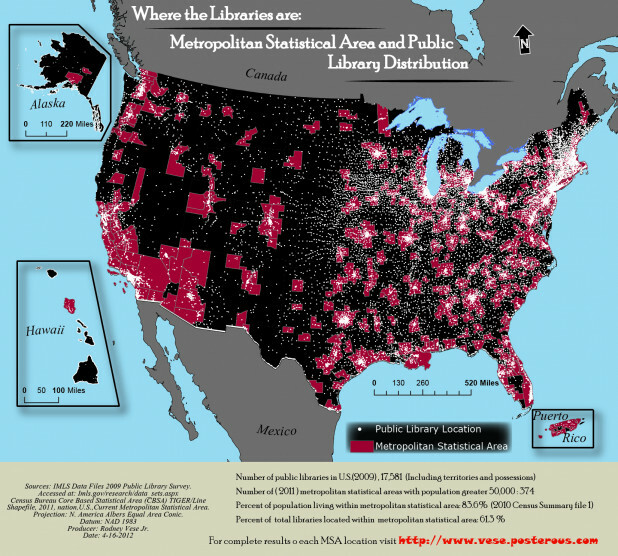 Where are the Libraries by rvese shows where you can get one. by rvese. Browse more data visualization. 19. Libraries are funded by government, and the US government just went through a major election. The presidential election was a big one, but there was also a milestone reached in the Senate. There will be 20 Women Senators in the 113th senate (courtesy of NerdWallet). by NerdWallet.Browse more data visualization. 20. It seems like this year was longer than usual with all the Sh*t that happened. This taxonomy by Wildyles might help figure out exactly what kind happened, good or bad. by Wildyles. Learn about data visualization tools.